Basingstoke based motion control specialist represent Arcus Technology in the UK alongside their own extensive range of products designed and developed in their extensive facility.. Arcus is a US-based manufacturer of stepper motor controls and drives who provide 1-4 axis solutions in discrete as well as integrated motor packages. Arcus Technology has developed the world’s first all-in one NEMA 11 microstep motor with driver, controller and encoder integrated into the motor’s back cap, minimizing external electronics and wiring. The small package size of the magnetic encoder chip allows the motor to stay within the 1.1-inch-square form factor of the NEMA 11 standard. 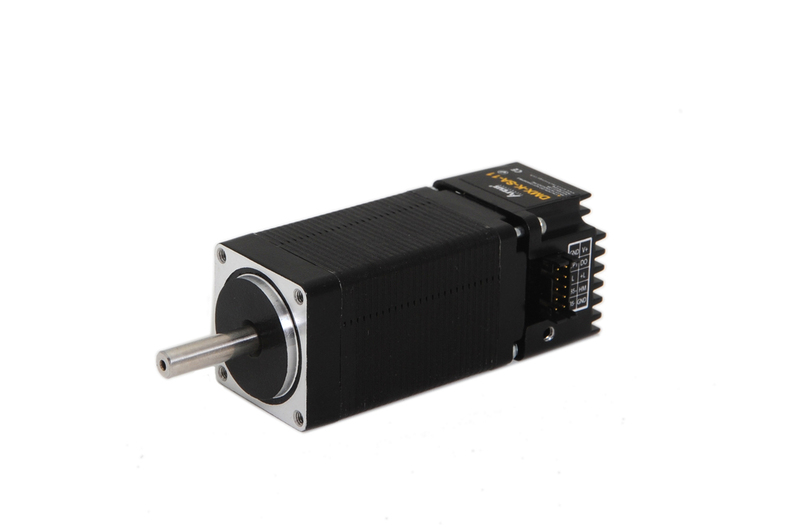 The new DMX-K-SA-11 stepper motor is ideal for size sensitive biomedical, optical, semiconductor and similar applications requiring open-loop microstep motion with real-time position confirmation. The integrated DMX-K-SA-11 is a 16-microstep driver that is capable of full, 1/2, 1/4, or 1/16 microsteps in three different stack sizes. Arcus Technology developed this unique design as an alternative to typical step motors that run open loop with sensors to detect position values after the move. The DMX-K-SA-11 is designed for customers and applications that require a position verification signal from the motor as well.